One day on a beach in North Carolina, someone asked Ari Friedlaender ’96 if he’d like to go count whales in Antarctica. Two decades and 32 trips later, he’s become an authority on Antarctic marine mammals, specifically minke and humpback whales, and how climate change affects them. Like fellow researcher Doug Krause ’99, Friedlaender often gets to know his subjects by putting video cameras on their backs. This is Part 5 of a series about Bates alumni who spent this winter in Antarctica. Part 1: If glaciers could talk, what would they say? Friedlaender reaches out to people as much as he reaches out to whales — his work has been featured extensively in National Geographic, CNN, and The New York Times, just to name a few. The reason, he says, is that we’re more inclined to want to protect what we know. Friedlaender is an associate researcher at the Institute of Marine Scientists at the University of California, Santa Cruz. Friedlaender’s specialty is whales. He’s made a career out of tagging and tracking them in Antarctica, and his team also studies them off California, Cape Cod, and southeast Alaska. At the moment, he’s focused on minke whales, the smallest of the baleen whales. His team tags them, sometimes attaching video cameras, to figure out how they eat, where they go, and how they interact. Minke whales “evolved to live in sea ice,” he says. “They’re pretty cryptic, pretty elusive. They’ll be most impacted by climate change, because one of the manifestations of that is that sea ice is decreasing. Friedlaender has made 32 trips to Antarctica, totaling two to three months a year. “I grew up on the coast in New England, and I was always fascinated with the ocean,” Friedlaender says. “From a young age, I was encouraged to go out and observe things in nature — in fact, my mom started me taking notes in a field notebook every time I went to the beach when I was young. “I did a degree in biology and a minor in anthropology at Bates. Bates gave me the opportunity to learn to be a scientist and gave me the tools to go into the world and start doing science on my own. [Professor of Biology] Will Ambrose was a really important person for me because he was incredibly encouraging of the things I was interested in. Friedlaender accepted, flew to Australia, and boarded a ship. “It takes about six days to get to the ice from Tasmania, and we had horrible seas,” he recalls. “We probably had 30 to 35-foot seas and 50 to 60-knot winds. 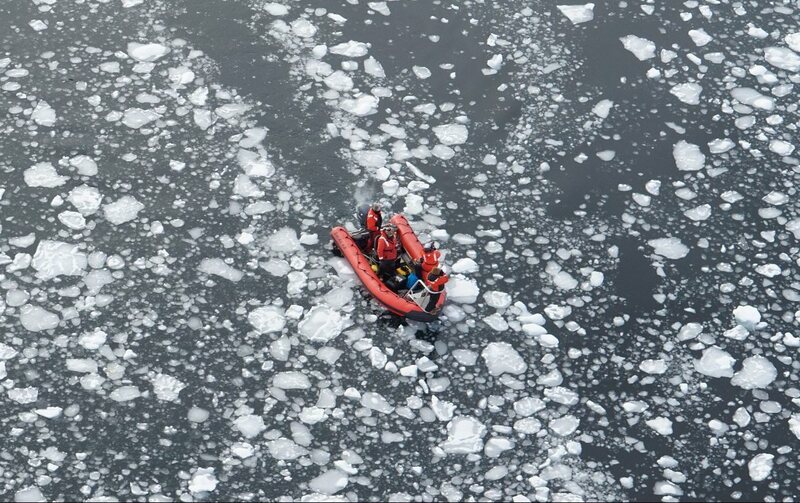 The ship was rolling all over the place, but as soon as we got into the sea ice, everything calmed down. 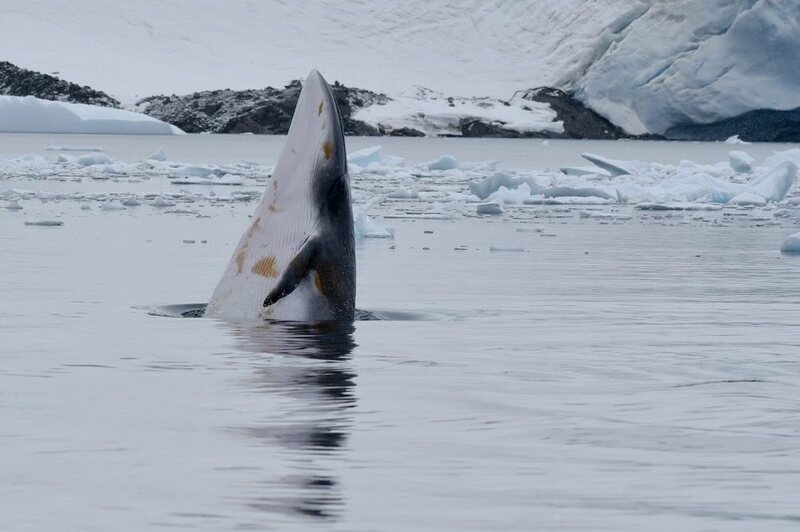 “The first month I went down there, the average air temperature was between minus 20 and minus 40, and we didn’t see very many whales at all. But just being in that environment and feeling the cold, you feel absolutely minuscule and unimportant. It’s also such a vibrant place and such an amazing natural wilderness that you can’t help but be overcome by it. Friedlaender is one of the first scientists to study Antarctic marine mammals extensively — he was at the vanguard of the evolution from simply counting whales to tagging and tracking them, learning a tremendous amount about individual animals. Putting video cameras on the bodies of minke whales — the process involves getting really close to the creatures on an inflatable boat, then using a long pole to suction-cup a video tag to their skin — has led to two important revelations, Friedlaender says. The first is that minke whales are more social than scientists thought. “You can see five or six whales swimming really quickly to find krill and all feeding at the same time and going really fast in different directions,” he says. 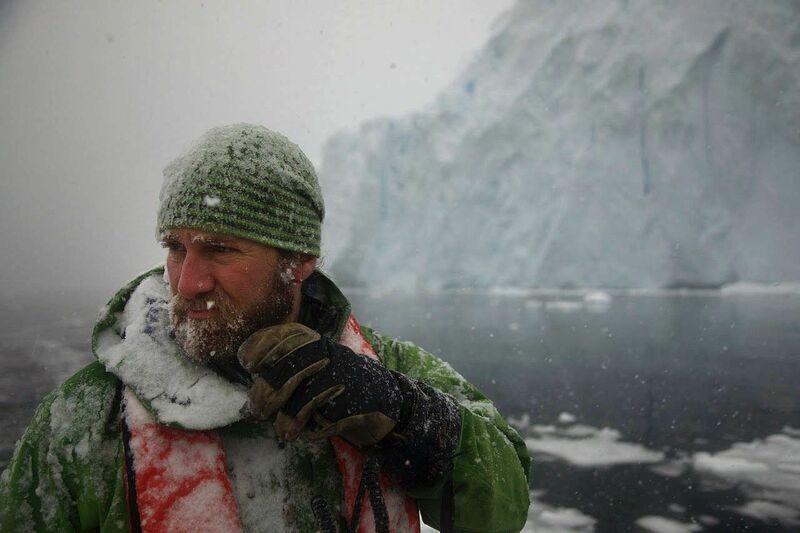 Friedlaender spends most of his time in Antarctica on boats. Sometimes it’s a government research vessel. Other times it’s a tourist boat, taking visitors to the Antarctic Peninsula for a few weeks at a time. “We utilize those platforms to do science, but also to engage and communicate with the public while we’re doing our science,” he says. Minke whales live among sea ice, which offers both protection from killer whales and sources of krill, which grow up underneath pieces of sea ice and feed penguins, birds, and seals as well as whales. “That lack of sea ice is going to decrease the amount of krill that’s available for all the animals there, and the system is going to change very dramatically,” Friedlaender says. Living and working in Antarctica “can be the greatest thing in the world, but also extremely challenging,” Friedlander says. “The physical landscape is unbelievable and beautiful and hostile and very unforgiving. It’s completely void of human elements. To be in a place that’s very wild and truly natural is a real gift, but it’s remote. You’re on a small boat with a small number of people. On some glaciers, falling snow gets compressed into the ice and air bubbles are squeezed out, which means that the ice, like the ocean, is blue. 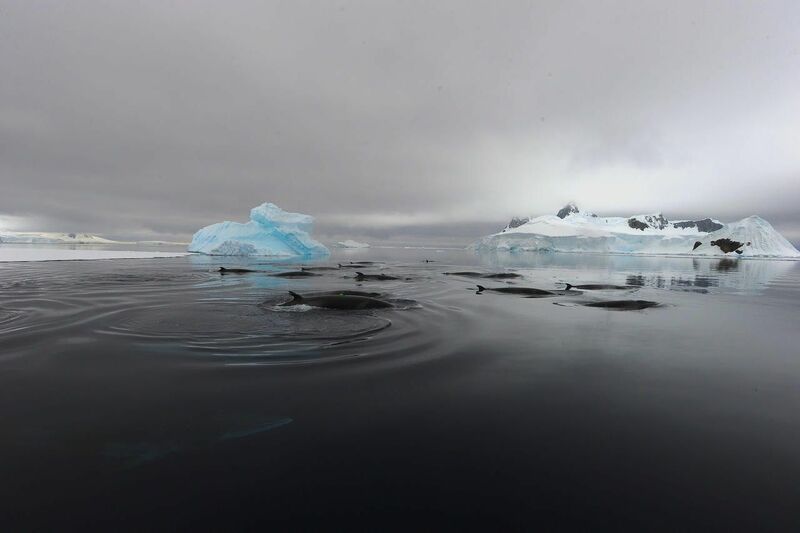 “The number of penguins and whales and seals is remarkable,” Friedlander says. “They’re completely curious — they haven’t grown up with humans being a threat to them. Much of Friedlaender’s Antarctic work involves outreach. He frequently welcomes media outlets from around the world, he works with museums and educators, and he’s published a book of photography from the continent. “I’ve honestly grown to be less objective,” Friedlaender says. “I want to see people do better, and I want to see these animals survive and the ecosystems sustain themselves. It doesn’t affect how we do the work because science is science, but the connection that I have to the place and to the animals has grown immensely the more I learn about them. 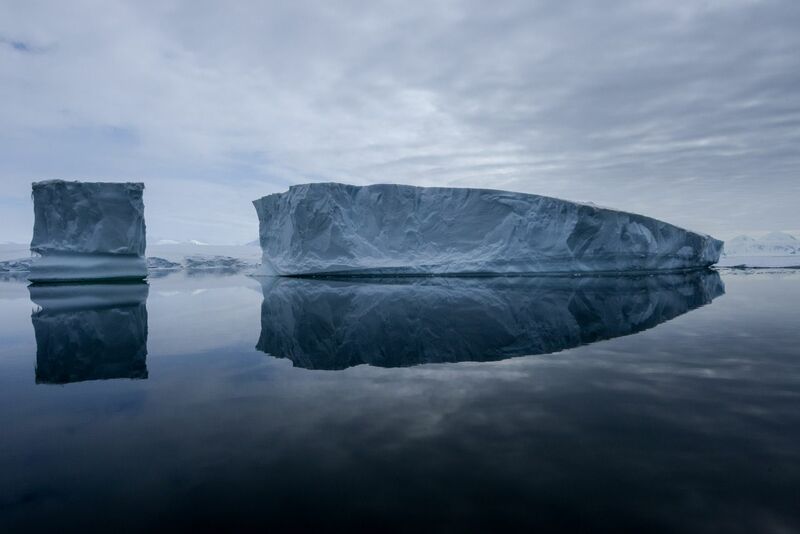 Bates Club of Antarctica: If glaciers could talk, what would they say?